Are you new to Open Space Yoga? Check out our New Member Special – just $49* for 30 days of unlimited classes! Use the classes any time you want! Come once a week, or cycle the 52 classes in and out of your work or travel schedule. $40 for 4 classes – valid for 6 months. $80 for 8 classes – valid for 12 months. Passes and memberships are valid for all scheduled classes with the following exceptions: classes that require registration, events, and workshops. 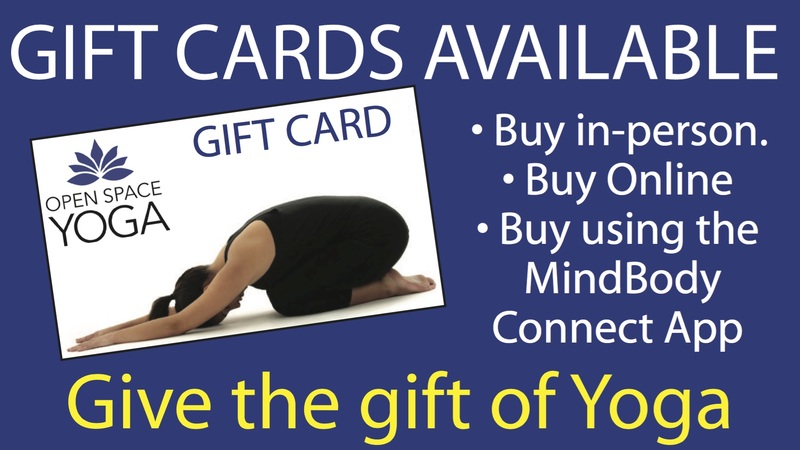 Purchase the Gift Card and select your delivery date so your gift will arrive in their inbox right on time! Or, you can print it out. 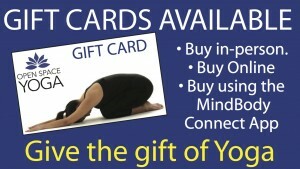 Printed gift cards in envelopes are available for purchase in the studio, as well.